It's a bit of a sad day around our house. We didn't see the orioles feeding the baby birds this morning although we heard a baby oriole chirping. 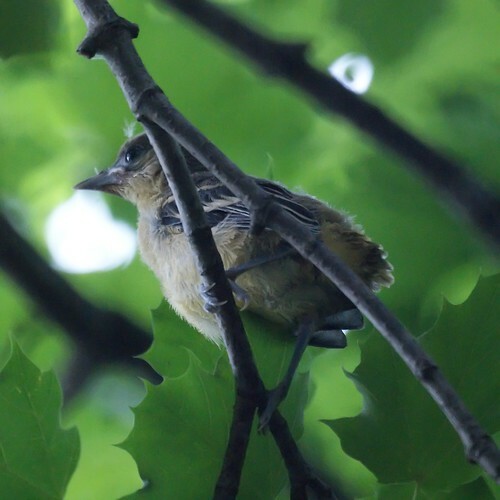 Around noon, Chris found a baby oriole two trees away from the nest being attended to by the male oriole. It still looks too small to fly to us but it must have. We didn't see it in the evening. It seems too soon to leave the nest to us. We went around the front of the house in the evening and checked on the wren house but it appeared empty. We did see a few baby wrens flying around the trees with the parents but they were too fast to photograph. 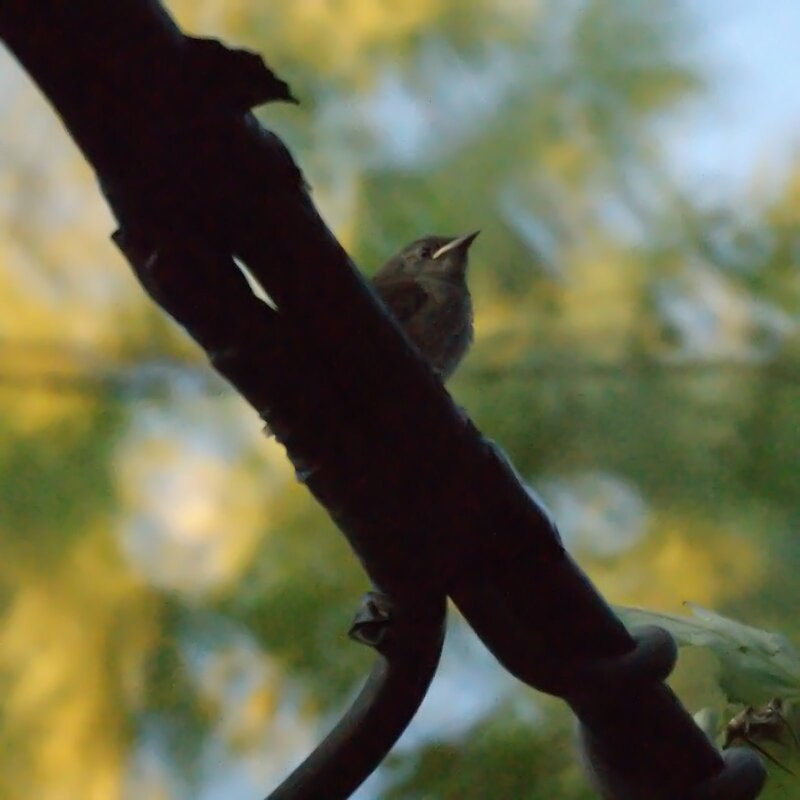 One landed on an electrical wire but that's no place for a baby bird. While it's nice to see the babies grow, it happens so quickly and we'll miss them. Perhaps we'll see the parents in the Caribbean this winter.